Today I have three shades from the Nicole by OPI Something about Spring Collection. This one applied beautifully! The VNL wasn't really apparent until I got in direct sunlight. Indoors, it wasn't noticeable at all. Loved this color! This one was gorgeous- love the multiple sizes of glitter. And this wasn't bad to remove at all- the scrubby tub removed the polish with absolutely no problem and left no glittery residue on my hands. 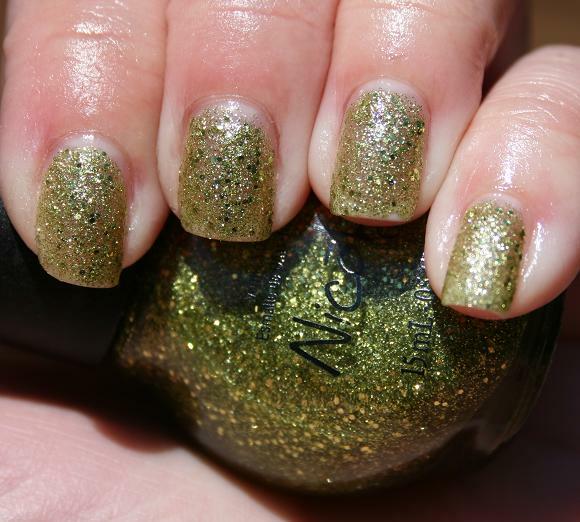 Nicole by OPI believes once you respect yourself, you can shade it with the rest of the world. 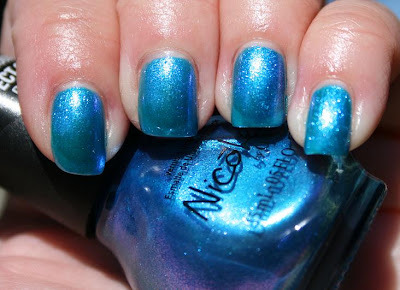 Nicole by OPI nail lacquers are free of DBP, toulene, and formaldehyde and are packaged in recyclable glass bottles. The Something About Spring collection launched exclusively at Target in March 2011, and feature irresistible shades that bring a bursts of color and feel-good energy to any look. They retail for $6.99 each.